L.L. Bean's generous return policy is going to be a lot less forgiving now. L.L. Bean announced Friday it has canceled its legendary lifetime return policy due to an increase in fraud and abuse, exacerbated by tales shared on social media. The 106-year-old outdoor retailer has been as synonymous with generous returns as it is with the state of Maine, its home base. Customers now have just one year to return items, with a receipt. 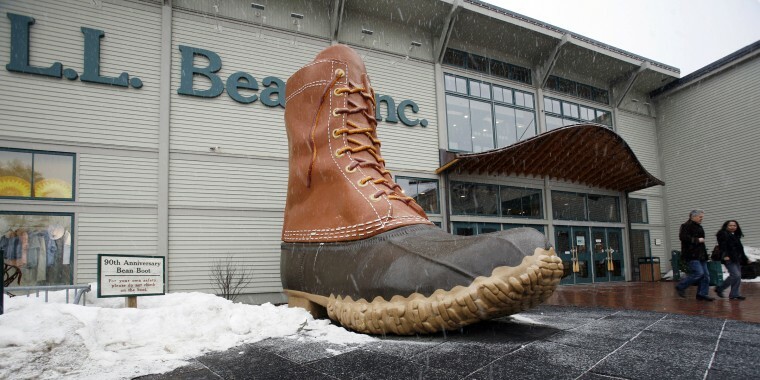 “A small, but growing number of customers has been interpreting our guarantee well beyond its original intent,” explained L.L.Bean Executive Chairman Shawn Gorman in a Facebook post outlining the change to the century-old policy. The hottest holiday gift: duck boots? The Twitterverse was swiftly up in arms at the news, with customers lamenting the loss of the generous policy, and some blaming "selfish jerks" and "scam artists" for ruining a "satisfaction guaranteed" policy that set L.L.Bean apart from other retailers. “Your return policy was the only reason I shopped at #LLBean!” wrote one customer. Your return policy was the only reason I shopped at #LLBean! I shared your amazing service with with friends, colleagues, and more. Now, I'll be sure to suggest they avoid like the plague! Others welcomed the move. The company's Facebook page quickly filled with customers and former employees recounting incidents where they had witnessed customers returning decades-old, used items with the expectation of a full refund. Some people questioned the company's quality, asking “Just wondering if you’re experiencing more returns because your products aren’t made as well as they used to be…"
Ultimately, the cost of the returned goods outweighed profits from the company’s famous duck boot, CEO Steve Smith told The Associated Press. "The numbers are staggering. It's not sustainable from a business perspective."